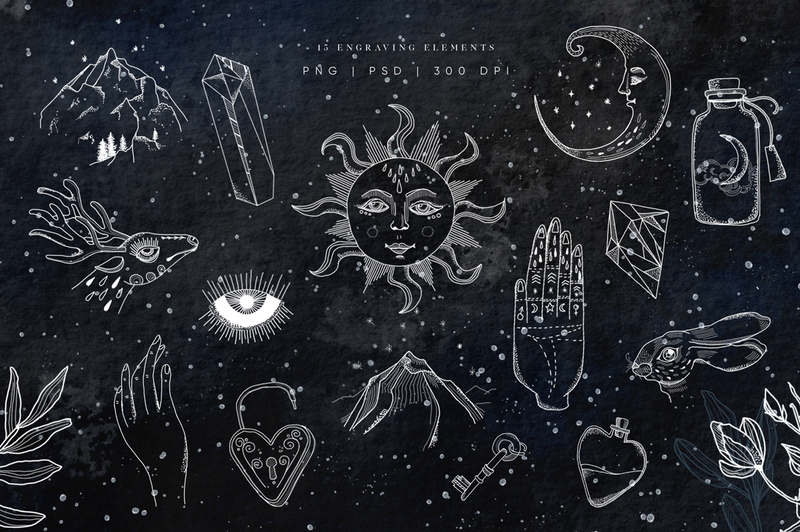 This collection is created for those who are fond of mysticism. 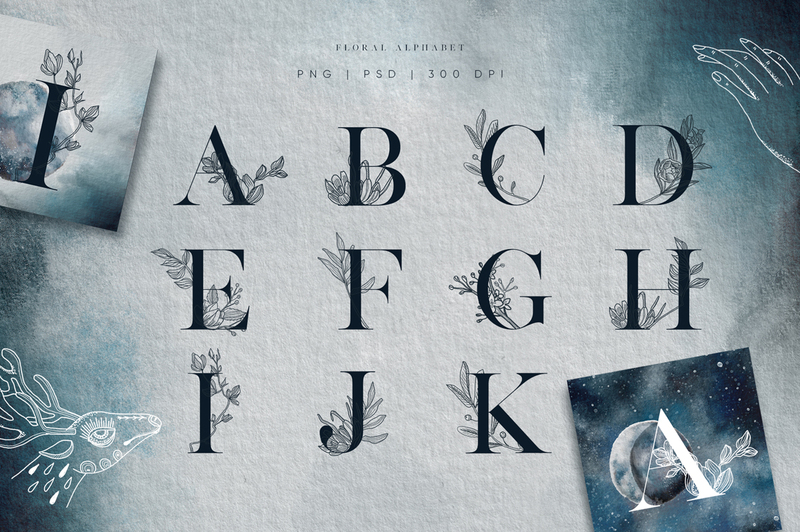 This large graphics set is designed to reveal all the dark sides. 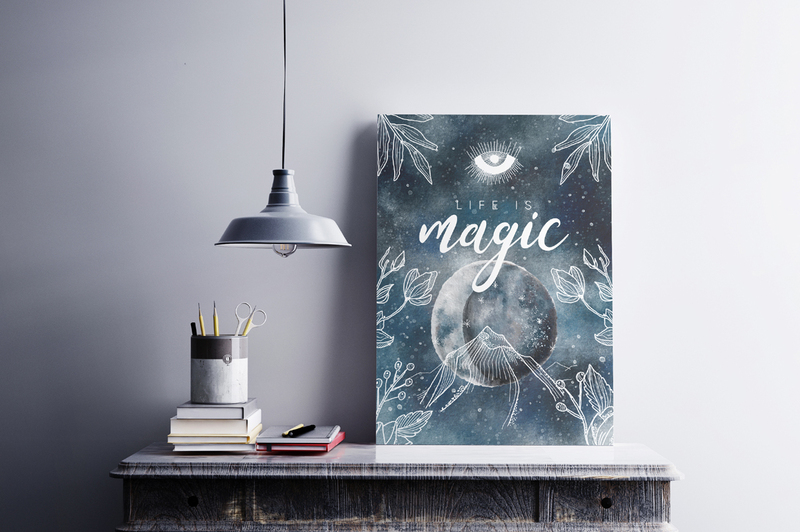 Magic occult illustrations in line-art style create a bright duet with watercolor backgrounds, eclipses, and a floral alphabet. 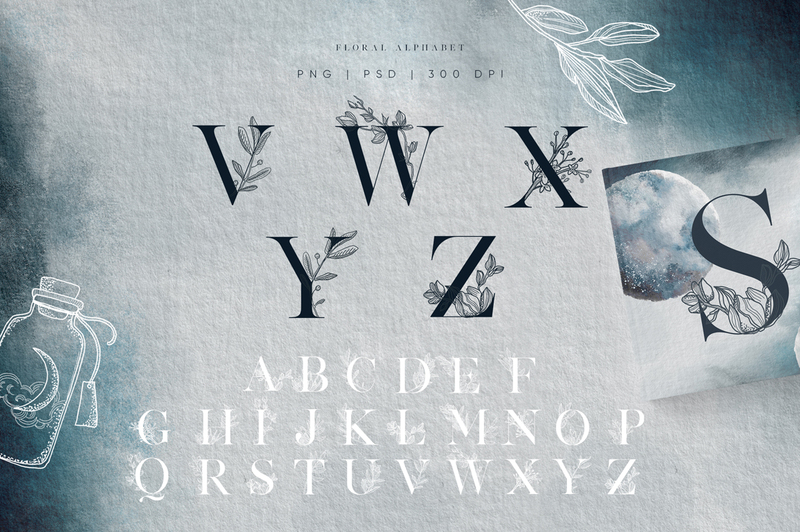 Delicate hand-drawn lines and watercolors create a twilight look & feel that adds a touch of elegant romance to your gorgeous logos, wedding invites and stationery. 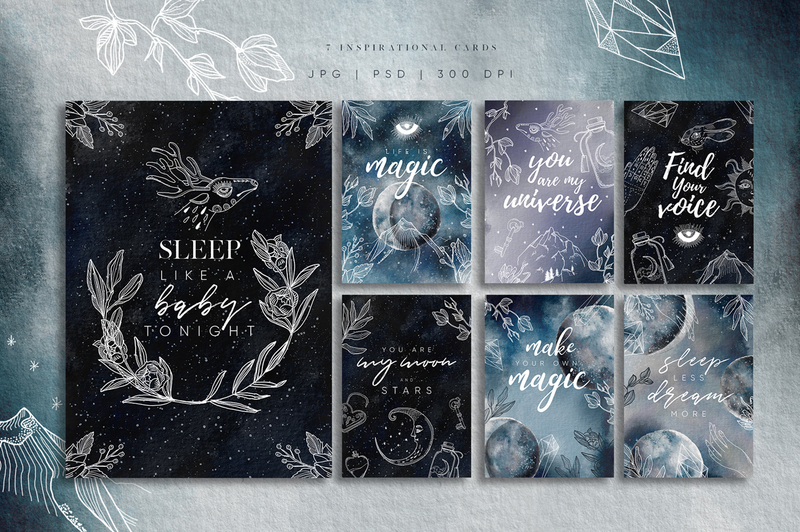 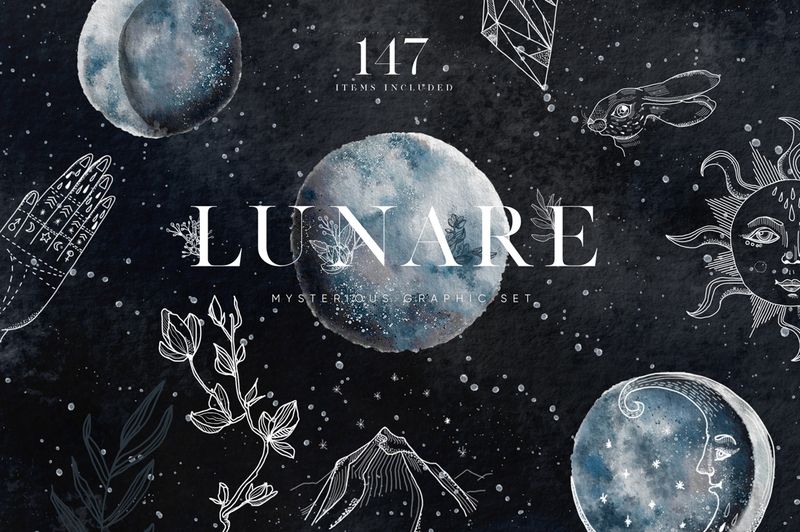 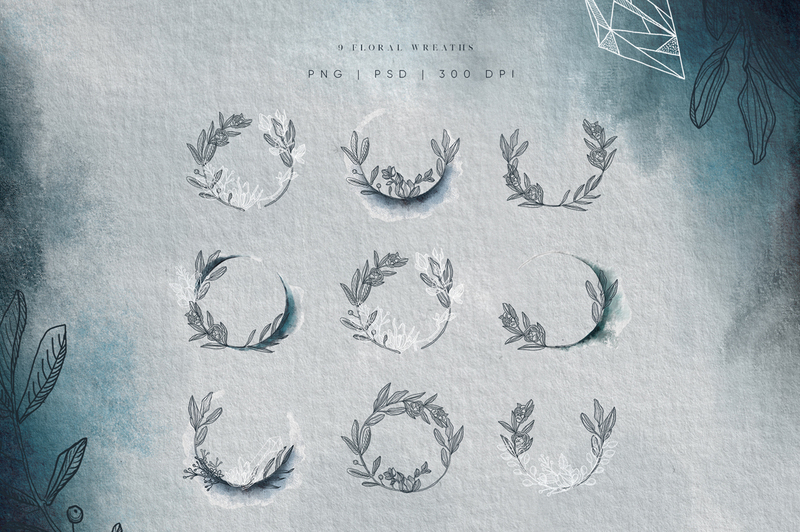 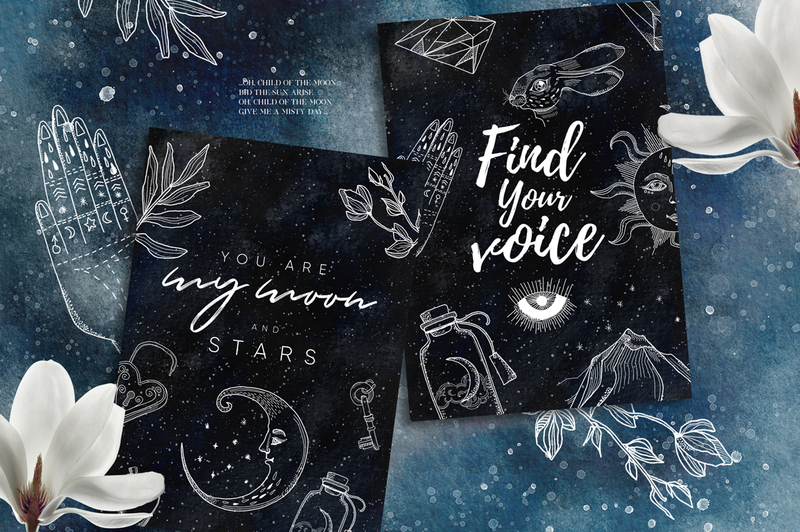 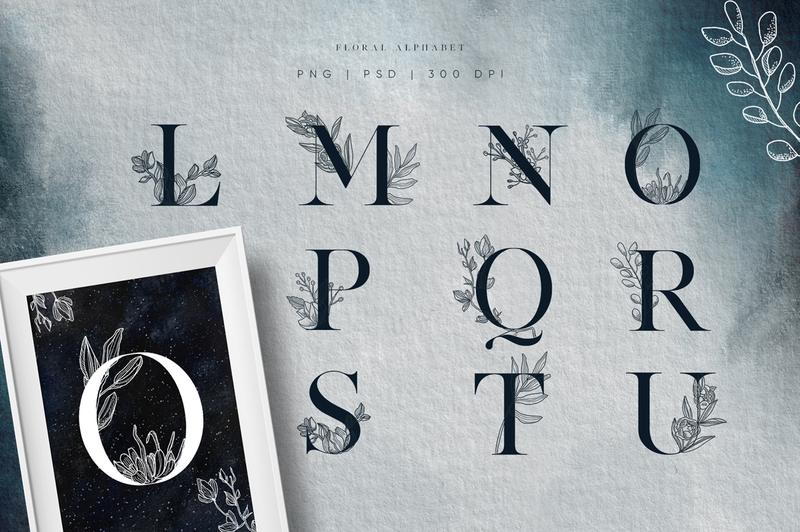 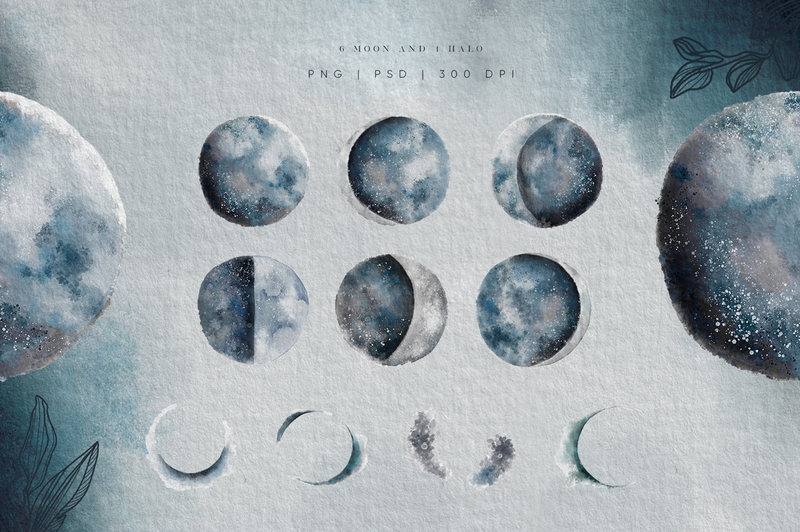 Set contains twilight illustrations, eleganct alphabet with floral ornaments in dark gray and white colors, moon eclipse with different halos, pre-made posters and cards, plant elements. 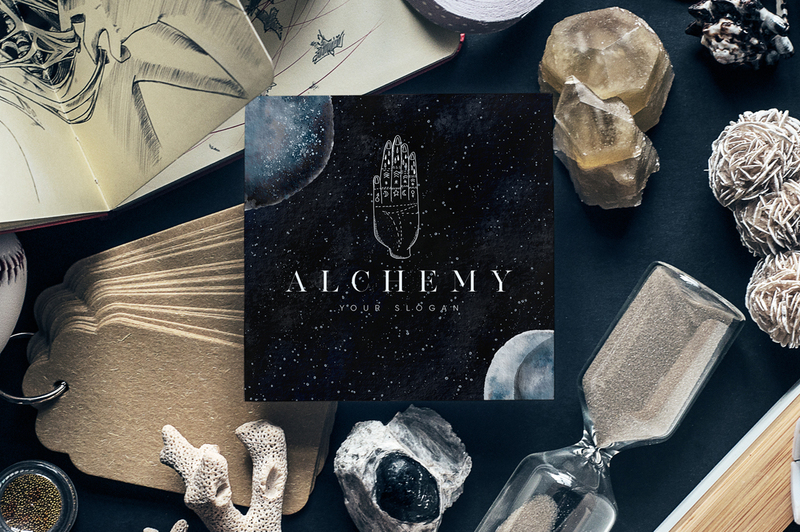 Esoteric engravings will help to design a unique brand, stylish logotype, graceful invitation to the event or conceptual business card. 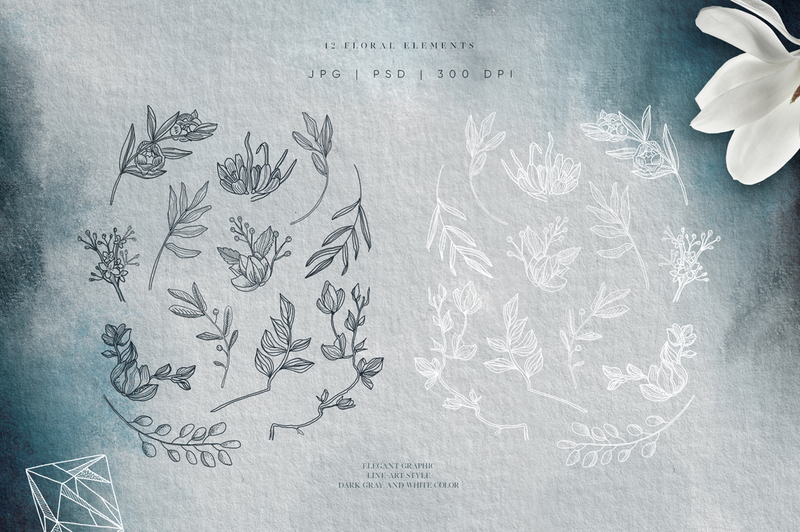 This bundle included 147 elements in .PNG, .AI, .JPG and .PSD formats.